Today's Cool Math Brain Teasers is extension of earlier posted similar Cross Square Math Brain Teasers. We have been posting Math Brain Teasers with numbers around different mathematical shapes. 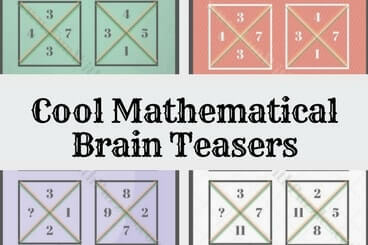 One should definitely check these Math Brain Teasers after solving today's Cool Math Brain Teasers. 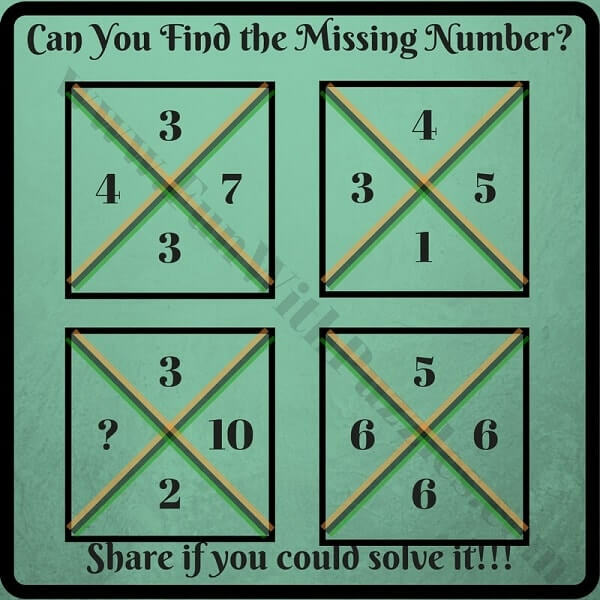 In these Cool Maths Brain Teasers there are four numbers given in each of the square which is divided by a cross. These four numbers relates to each other with mathematical operations. One has to find this relationship and then find the missing number in one of the square. So are you ready to find the missing number which will replace the questions mark? 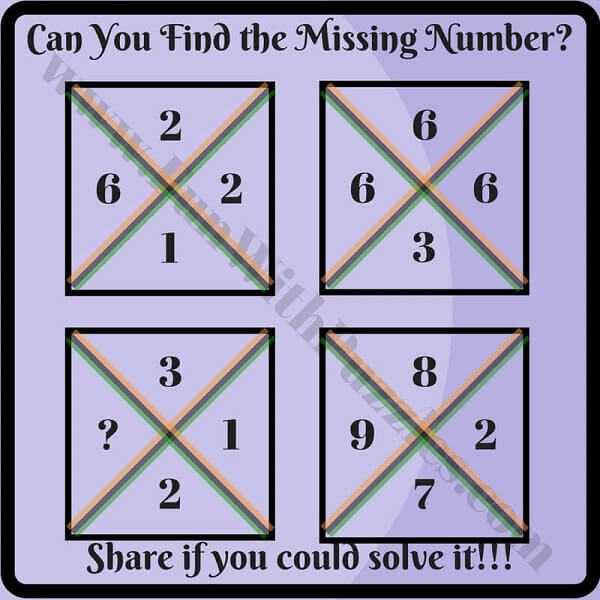 Answers of these puzzles are given at the end. Do lookout the answers only to verify your solutions. 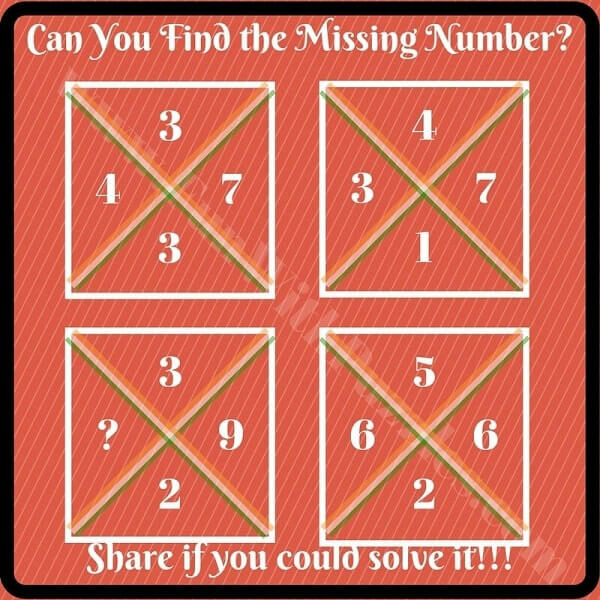 Also do post your answers in the comment section along with your explanations to solve these puzzles. 2. 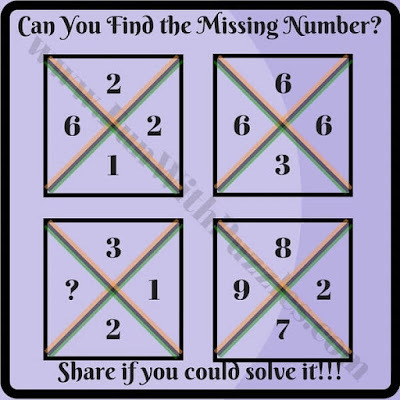 Can you find missing number in this math puzzle? 3. 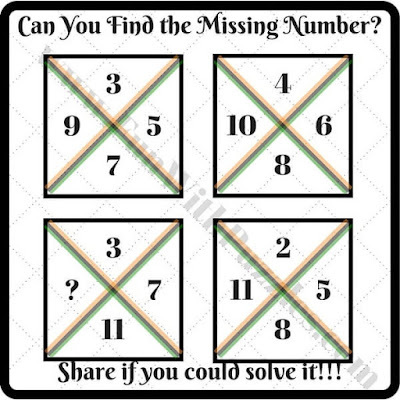 Can you find missing number which will replace question mark? 4. Can you calculate the value of missing number? 5. Can you calculate the value of missing number in this Maths Puzzle? 1. 5 Awesome Brainteasers To Test Your Mental Sharpness: These are the puzzles in which you have to find the parking number in the given picture. 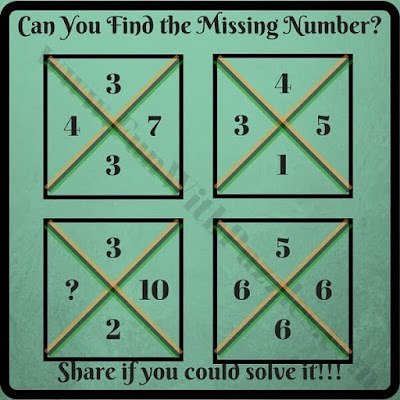 These puzzles will test your Maths as well as Logical skills. 2. Dead Wife Murder Crime Detective Mystery Puzzle: Its time to play a detective and solve the murder mystery. Use your Logical Reasoning skills to solve this Mystery Puzzle. 3. Easy Mathematical Puzzle Questions with Answers for students: You you found earlier mentioned puzzle tough, then try out these easy Maths Puzzles. 4. Cool Maths Quiz for Kids with Answers: This contains another set of cool Mathematical Puzzles which are very easy to solve.